Protection type: Hiccup mode, recovering automatically after fault condition is removed. AC is rectified and smoothed to DC. 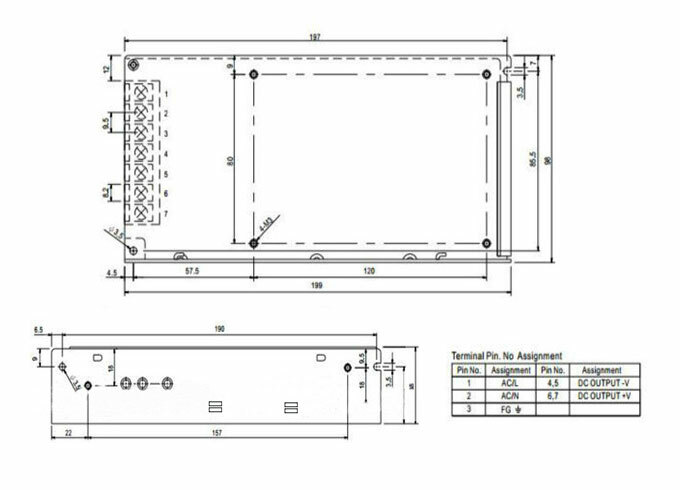 Output the DC to primary level of switch transformer by high-frequency signal control switch. 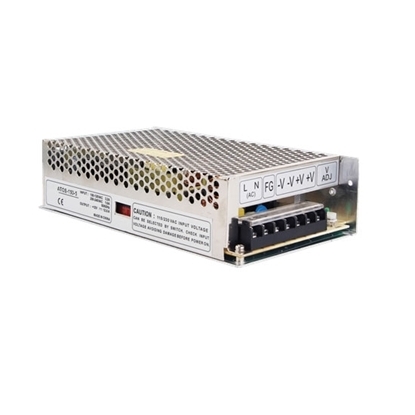 Primary level of the switching transformer detects high-frequency voltage and supply the voltage to load through rectification and smoothing process. The output system sends feedbacks to the control circuit through certain circuits to regulate current output by controlling occupation ratio of PWM. AC needs to go through the choking coil when being input. Switching power supply is used to filter noise wave of power grid and prevent power supply from outputting noise waves to the power grid. If the power stays the same, higher frequency of the switch will indicate smaller size of switch transformer and higher requirement for switch tube. To meet requirements for output, secondary level of the switch transformer is composed of several windings or just one winding with several taps. Generally speaking, the switch transformer is often equipped with protective circuit to protect switching power supply from idle load or short circuit, or the power supply may be burned out.